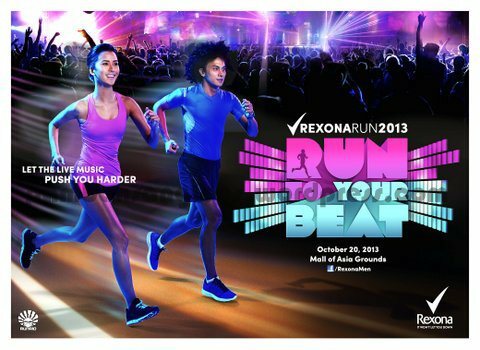 Run To Your Beat is the 2013 leg of one of the most anticipated running events every year, The Rexona Run. Now in its fourth year, the Rexona Run is preparing for a different kind of race with the Run To Your Beat, the Philippines’ first ever multi-sensorial night run where live music pushes people to run further and culminates in a party at the finish line. Sandwich and The Diegos will be at the gun start to pump things up early on. We’ll also have all the best DJs in Metro Manila to play at the different stations scattered throughout the race track: Deuce Manila, DJ Mia Ayesa, DJ NIna, Funk Avy, DJ Khai. Then party it up at the finish with your idols who play different beat: Rico Blanco, Elmo Magalona and DJ Mars Miranda. Registrations is ongoing up until October 16, 2013. From gun start to the finish line, this year’s Rexona Run promises to push running enthusiasts, professional runners, recreational runners, and non-runners’ mind, body and soul to do more at this year’s Rexona Run on October 20th at the Mall of Asia Music Hall. As one of the most sought after runs in the calendar, year after year, runners look forward to the Rexona Run for its exciting twists, prizes and categories. 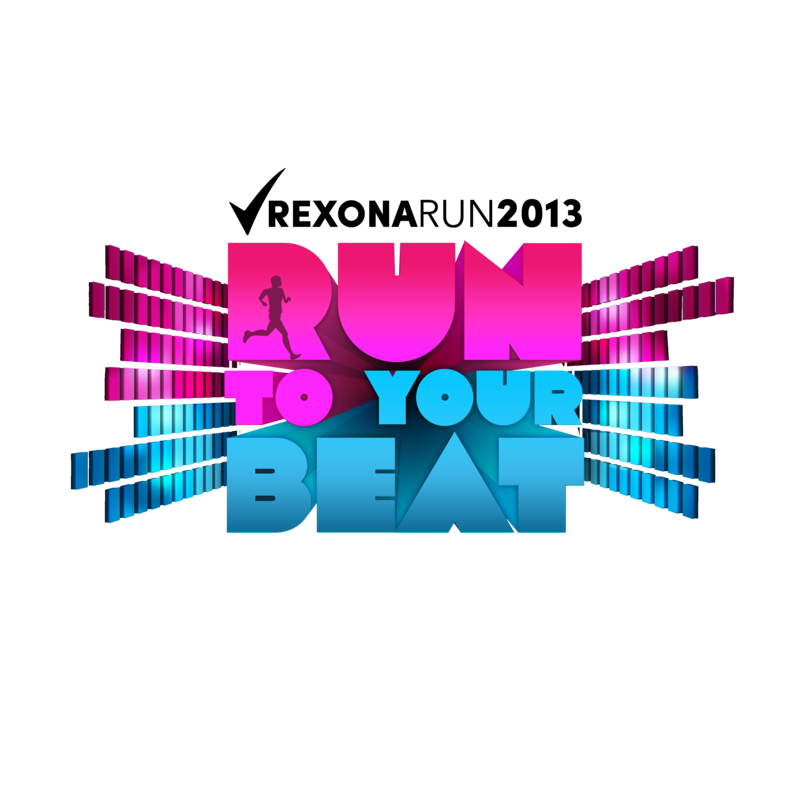 Now in its fourth year, Rexona is prepared to shake things up with Run To Your Beat – the Philippines’ first ever nighttime 5k, 10k, and 21k run/walk experience where participants are totally immersed in a trail of pulsating beats, transcending them into running euphoria. The insight is simply rooted – most runners listen to music while running long or short distances. “Running and music are two things that go together. For most runners, music inspires them giving them an added boost. So we decided to combine the two together,” said the Rexona Brand Manager. Adding a very different take to running, live performances will be scattered around the race routes. From the gun start to the 5k mark, Delta Street, Sandwich, The Diegos, DJ Mia Ayesa, Deuce Manila and DJ Nina will perform, 10k runners will be treated with live performances from Funk Avy and DJ Khai, and finally 21k runners, who will get the chance to see all performances, will pass end their race with the finale of Rico Blanco, Elmo Magelona and DJ Mars Miranda. 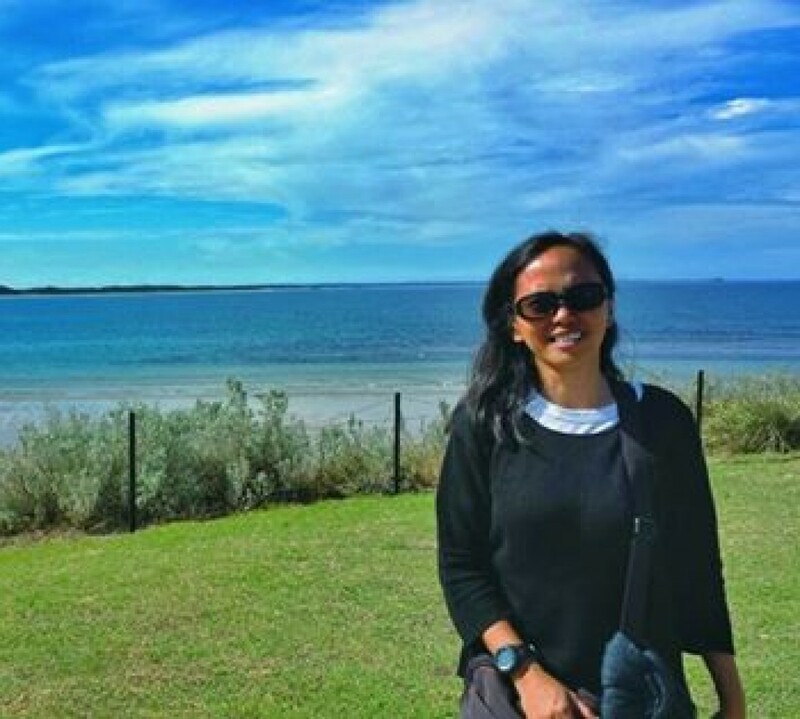 In line with Rexona’s DO: MORE philosophy, Run to Your Beat presents the perfect avenue for all individuals – whether avid runners, leisure runners, or non-runners – to DO:MORE. For first time runners Run to Your Beat is the perfect event to train for; for everyday runners, it is an opportunity to aim higher, with music serving as additional fuel to run faster and longer; and for anyone and everyone, Run to Your Beat presents an opportunity to try something new. With the single objective of pushing people to Do:More, music is not the only thing that makes Run to Your Beat an affair to look forward to, Run to Your Beat will be a complete sensual experience with a spectrum of lights pulsating to the beats of the live performances, neon trees and lighted installations to decorate the route – all done to enhance every runners’ visual experience. To add to all of this, there are also prizes to be won. Top three finishers in the 21K category include PHP 7,000 for first, 5,000 second and 3,000 for third; top three finishes in the 10k category will receive PHP 5,000 for first, PHP 4,000 for second, and PHP 3000 for third; and top three finishers in the 5k category go home with PHP 4,000, PHP 3,000 and PHP 2,000 respectively. Registration is ongoing until October 16th, 2013 at Riovanna stores in Bonifacio Global City and Katipunan and in Tobys outlets in the SM Mall of Asia and SM North Edsa The Block. Online registrations are also accepted on http://www.runrio.com. Registration fees are as follows PHP 600 for 5K, PHP 700 for 10k and PHP 900 for 21k. For more details visit the Rexona Men Facebook page, http://www.runrio.com or call/text the race hotline at 887 6194, +097 347 7700 (Globe), or 0929 717 864 (Smart). Runners can now reap the benefits of natural motion found in Nike Free and the supportive, second-skin fit of Nike Flyknit in a single shoe. The Nike Free Flyknit unites two of Nike’s most innovative and popular technologies to deliver barefoot-like flexibility and a compression fit that locks the foot in place. 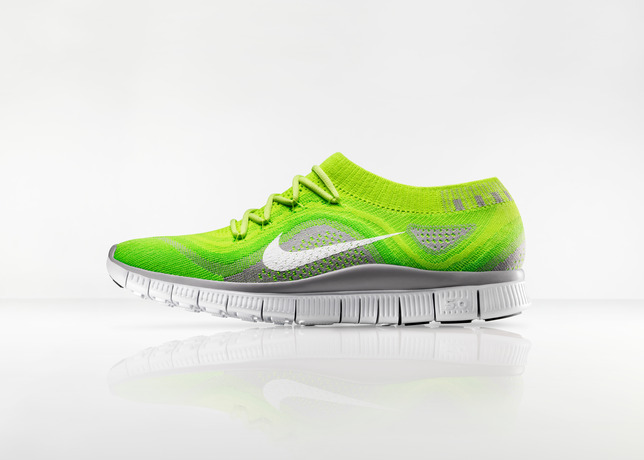 The Nike Free Flyknit is designed to flex with the foot in motion. It is informed by Nike’s “Nature Amplified” design ethos — an approach fueled by scientific data and athlete insights. A new, more compressive NIke Flyknit construction in the shoe upper secures the runner’s foot to the shoe platform. The unique zoned performance mapping pattern of the Nike Flyknit upper is derived from insights on how pressure is exerted on the top of the foot. Nike Sport Research Lab scientists employed pressure-mapping technology to locate stress areas, and designers used the data to inform the new upper. Zones on the top of the foot have engineered stretch built to enable natural flex, while a tighter weave at the perimeter stabilizes the forefoot and heel. Additionally, elasticized construction fits securely around the ankle for a comfortable, secure fit. By knitting a one-piece upper, Nike Flyknit construction reduces Nike’s typical upper waste by an average of 88 percent. The advanced Nike Flyknit upper sits atop a Nike Free+ 5.0 midsole, which lies in the middle of the Nike Free spectrum, providing mid-range cushioning. (On a scale or 1-10, 1 is akin to running barefoot and 10 is comparable to a traditional running shoe.) The articulated Nike Free sole is flexible and moves naturally with the foot. Diagonal hot-knifed sipes (strategically-engineered flex grooves) through the arch help ensure natural movement in the mid-foot as a runner transitions stride. The Nike Free Flyknit comes on the heels of decades of biomechanics research and design exploration with the intent of providing the best run possible. The breakthrough combination of a compressive Nike Flyknit upper with a highly flexible Nike Free midsole and outsole adds up to a running shoe that delivers a more natural ride, amplifying athletes’ ability to move quickly and comfortably over distance. The Nike Free Flyknit ($160) will be available globally beginning Aug. 1. It can be pre-ordered at nike.com/freeflyknit. Solenn Heussaff, the cause’s newest ambassador, joins Avon in inviting everyone to concretize their commitment to the fight against breast cancer that culminates with its annual Manila Run Event on October 13, at the SM Mall of Asia Open Grounds. 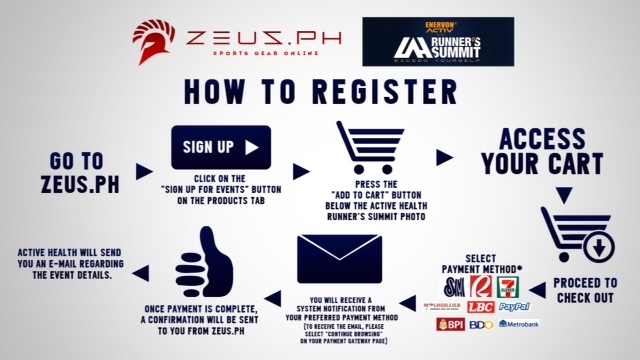 Registration for the Run will be held beginning August 12, 2013 at the following Chris Sports Branches: SM North Edsa; SM Megamall; SM Mall of Asia; Glorietta 3, Makati; Festival Mall, Alabang; and Fitness and Athletics (The Fort). Up to this day, breast cancer remains the top killer of Filipino women, creating an urgent call to every individual—not just those afflicted with the disease—to step up and take part in the fight against this life-threatening condition. Simply knowing such facts does not change things, but concrete action towards better prevention, treatment and support, in whatever form, can go a long way. Avon, the foremost corporate advocate of breast cancer, invites every Filipino to seize the opportunity to do something through the 2013 Kiss Goodbye to Breast Cancer (KGBC) fundraising event. Since its Philippine launch in 2002, it has been Avon KGBC’s mission to help provide access to care and support to medically under-served women. This year, the company for women is once again leading the charge to gain further support for the cause by launching the ‘Do Something Beautiful Against Breast Cancer’ Campaign, the idea behind which is simple enough – it speaks to the Filipino’s innate trait of being matulungin or helpful, doing something for someone because you are capable and are willing to help another in need. GMA 7 star Solenn Heussaff, the cause’s newest ambassador, joins Avon in inviting everyone to concretize their commitment to the fight against breast cancer that culminates with its annual Manila Run Event. For a registration fee of Php550 for the 5k event and Php700 for the 10k event, individuals will receive the Avon KGBC Race Kit, which already includes a singlet, race number and giveaway. Proceeds from the event, which will be held at the SM Mall of Asia Open Grounds on October 13, will go to the Philippine General Hospital (PGH) Breast Care Center and selected provincial hospitals. You can also register online and get more details about the cause at www.avon.com.ph or facebook.com/AvonPhilippines, and @AvonPH on Twitter and Instagram. 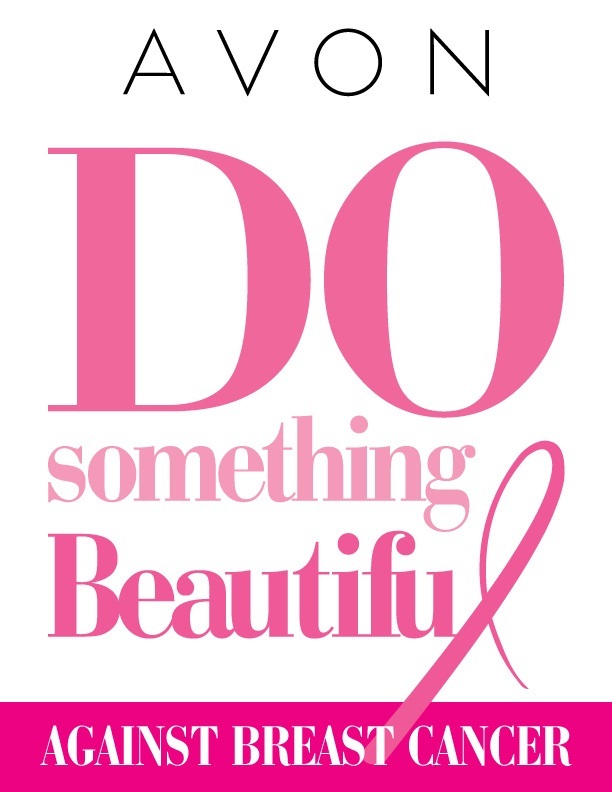 Get on your mark, and get ready to Do Something Beautiful Against Breast Cancer. Your active participation not only makes you an agent of change, but also translates into a significant contribution towards the fight against breast cancer. Avon, the company for women, is a leading global beauty company, with over $10 billion in annual revenue. As the world’s largest direct seller, Avon markets to women in more than 100 countries through approximately 6.5 million active independent Avon Sales Representatives. Avon’s product line includes beauty products, as well as fashion and home products, and features such well-recognized brand names as Avon Color, Anew, Skin So Soft, Advance Techniques, and Avon Naturals. 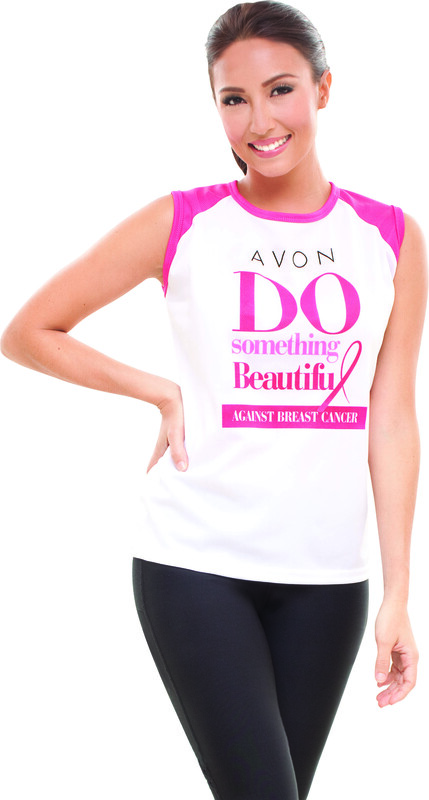 Learn more about Avon and its products at www.avoncompany.com. Avon celebrates 35 Years of Making Lives More Beautiful here in the Philippines, strengthens its commitment to provide women with the best in beauty products, unparalleled earning opportunities, and to causes that safeguard the well-being of women, such as the Kiss Goodbye to Breast Cancer and the Speak Out Against Domestic Violence campaigns. Learn more about Avon Philippines at www.avon.com.ph. Being the family man and triathlete that he is, he has been able to juggle his time perfectly well. 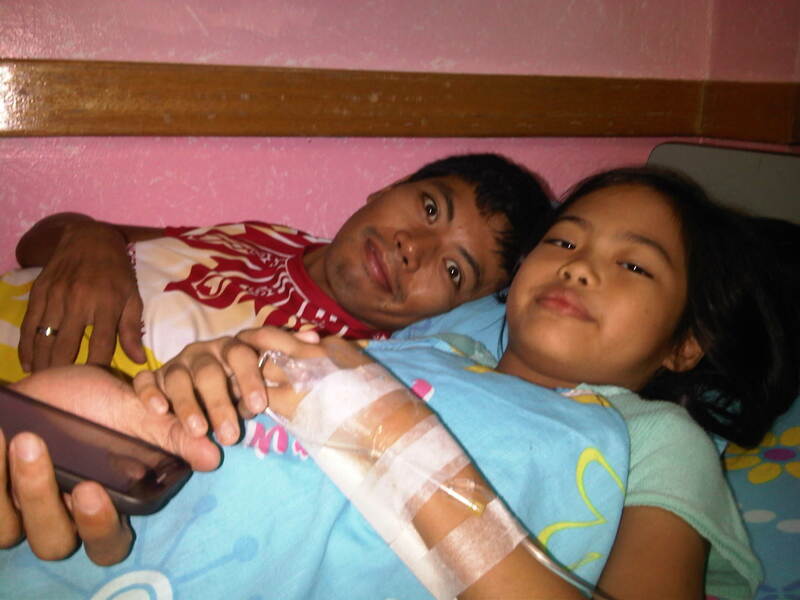 Even to the point that he has to sleep at the hospital to take care of our daughter who was confined just a few days ago so that I could sleep comfortably back at home. And after I relieved his duty at the morning, he would train. Me: I thought it was taper week already? I asked for it was just a week away from his major race which is the Cobra Ironman 70.3.